The honeymoon glow surrounding new Reserve Bank of India (RBI) Governor Raghuram Rajan is set to wear off. 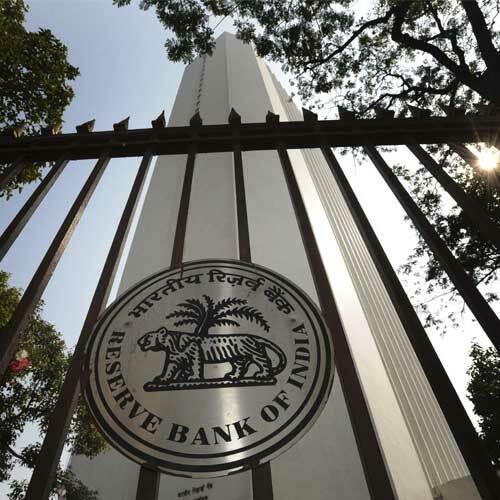 His first policy review has disappointed a market perhaps expecting RBI largesse to add to positive sentiments in the wake of US Federal Reserve Chairman Ben Bernanke's opting to keep quantitative easing (QE) going for the time-being. But while the Sensex may suffer in the short term, Rajan has given a welcome indication of his priorities by raising the repo rate - the rate at which banks borrow from the RBI - by 25 basis points to 7.5 per cent. The Fed's decision has brought the RBI and the finance ministry a little breathing space, no more. When it is reversed - and it will be, whether soon or further down the line - the systemic issues that had sent the rupee into free-fall over the past couple of months will resurface. Playing to the market has little benefit under the circumstances; a long-term approach is needed. Seen in this context, cutting the repo rate would have simply meant feeding into an exaggerated market cycle that lacks the necessary basis in strong fundamentals, a precursor to another round of economic shocks the next time external vagaries act up. In contrast, addressing the current account deficit (CAD), the primary domestic cause, along with the prospect of the Fed's easing QE, for the rupee's recent decline is an imperative. Tackling inflation is a key component of this. Consider the decline of the household sector's savings from 23.6 per cent of GDP in 2008-09 to 22.3 per cent of GDP in 2011-12 with financial savings taking the greatest hit. This is a direct consequence of high inflation, eating into households' abilities to save - for instance, vegetable prices have been graphing upwards steadily, notching up a 350 per cent rise between 2004 and 2013 - and widening the gap between savings and investment. In other words, the CAD. This sets off a vicious cycle where inflation causes a widening CAD, which in turn exerts downward pressure on the rupee, making imports costlier and causing more inflation. Stabilising this cycle is key to bringing about economic stability and creating a conducive atmosphere for the investment required for growth; it must remain the RBI's focus. Easy money via a looser monetary policy would, in any case, be a stopgap solution. Given that supply side bottlenecks are the primary constraints on growth and spurring inflation as well, it is for the government to act. There are several factors that must be addressed here. One is the need to boost manufacturing activity. The government must create a healthier atmosphere for private investment; this entails cutting red tape, introducing transparency and streamlining project clearance and implementation processes. Improving the abysmal quality of the agriculture supply chain is another. Boosting energy production - by breaking Coal India's monopoly for instance - to cut down on imports is also necessary. There are no quick fixes, but the work to make the necessary structural changes must begin now. Given the upcoming elections in 2014, there will, of course, be political pressure on the RBI to take the easy way out. It must resist.